Tuntum helps people and families from all communities to find a place to call home. 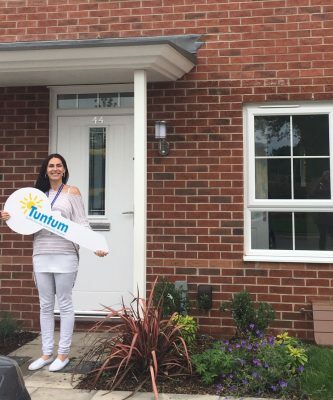 With more than 1300 properties in management to date, and more currently in development, Tuntum offers a variety of affordable housing across the East Midlands in 11 different local authority areas, ranging from 1-bedroom flats to large family houses. We provide housing of all types and sizes for single people, couples, families and older people, who may be in housing need. This means people who may be on low incomes, living in poor quality or unsafe housing, or have other housing difficulties. We primarily provide homes to rent at affordable levels as well as having an ever-increasing number of homes to purchase on a shared ownership basis. We work in partnership with local councils so that tenants are able to choose from a bigger selection of homes across the region. It also means there’s only one application form to fill in per region.